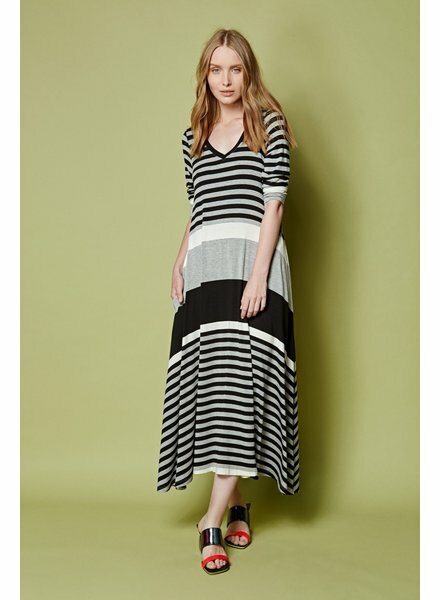 Features an elastic waistband with vertical and horizontal pinstripes. 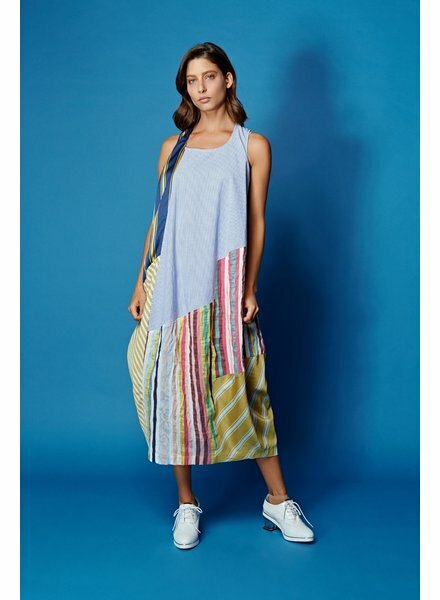 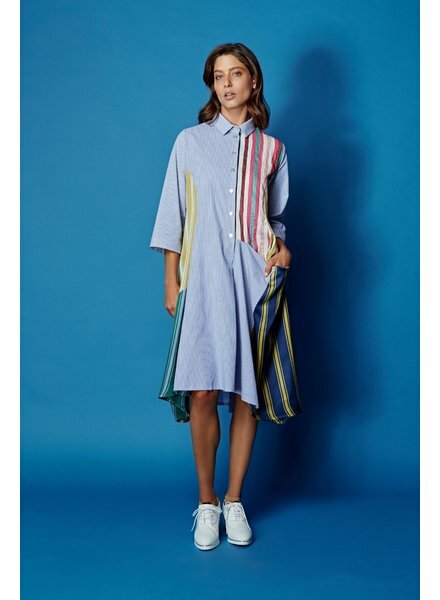 A sleeveless blue pinstripe dress with patches of colorful stripes in different patterns. 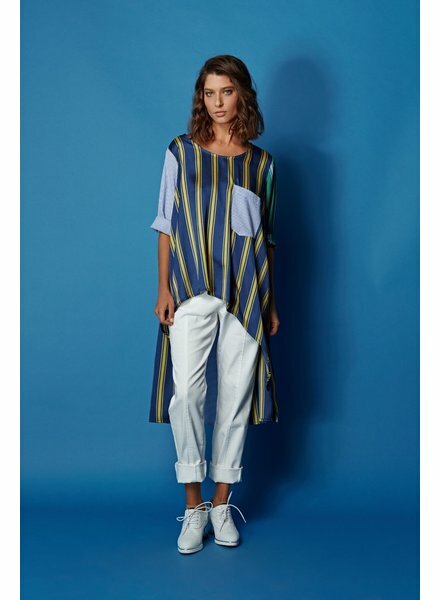 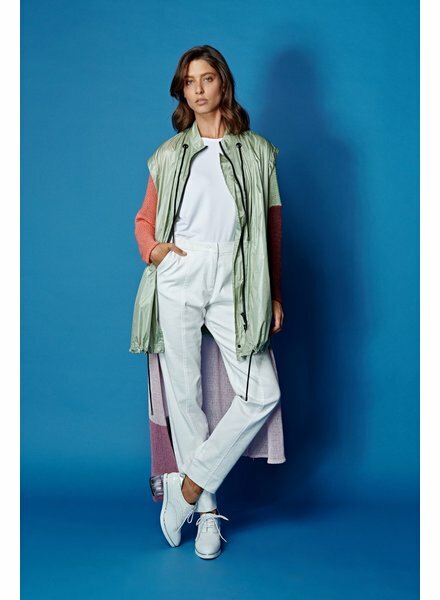 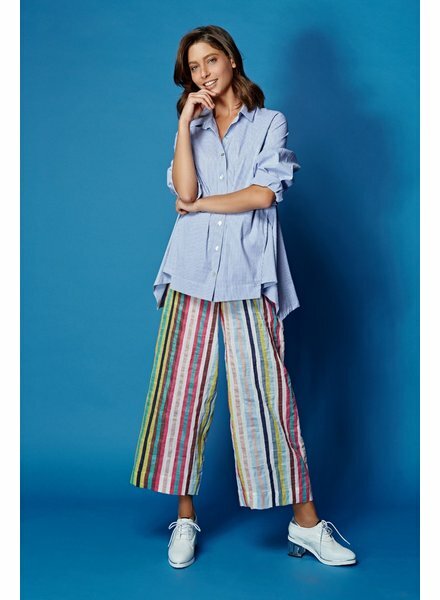 A button down front, single front pocket by the waist and a collared neck in a mix of colorful stripes. 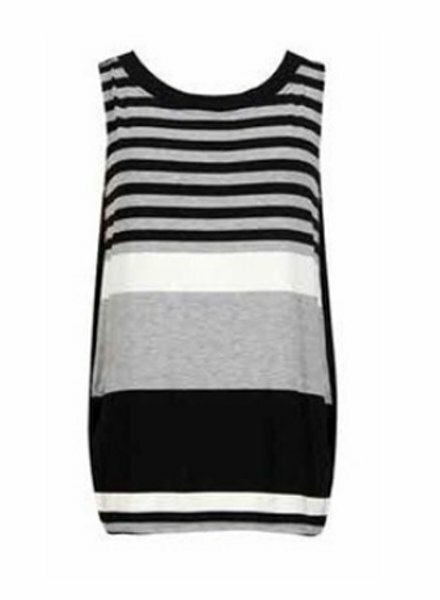 A 3/4 sleeve, V neck cut, and multi-stripe design maxi dress in a black/white/grey color combination. 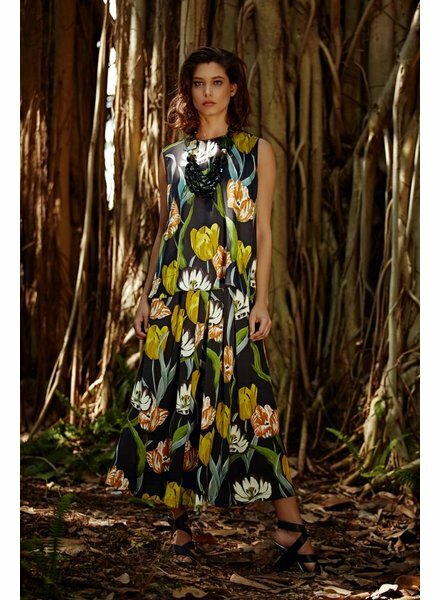 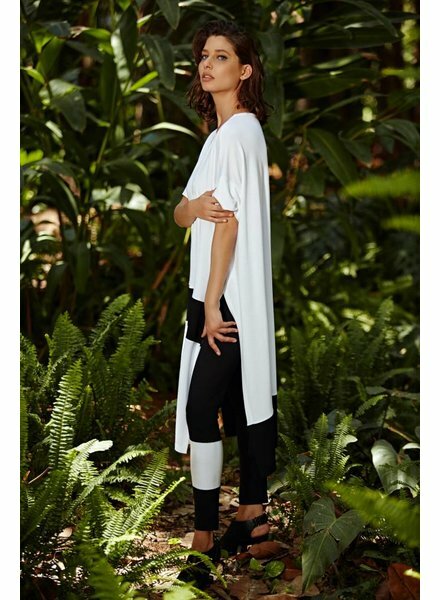 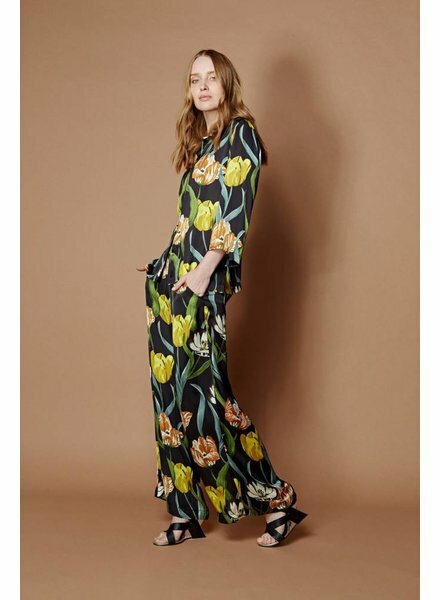 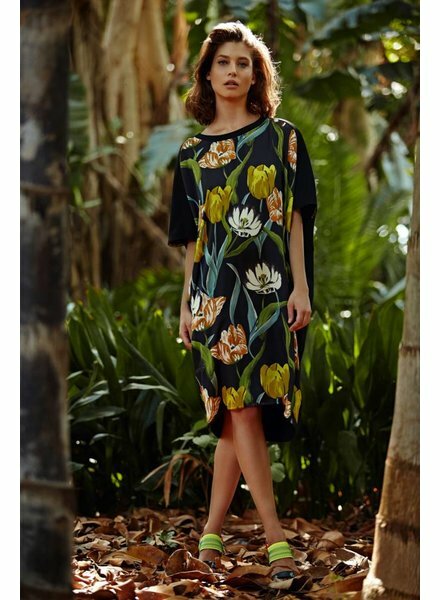 The Tulip Dolman Dress by Alembika features a dolman cap sleeve, large tulip print on the front and solid black on the back, wide round neckline and a tapered silhouette. 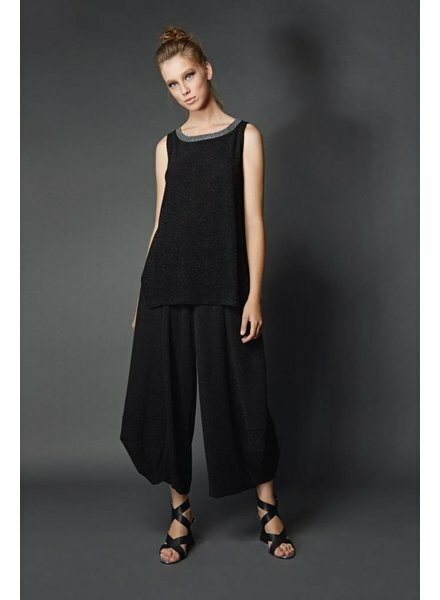 The Stitched Tank Dress by Alembika is a long black, sleeveless dress with white stitching accents.